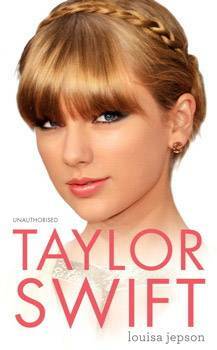 Growing up in Pennsylvania, Taylor was determined to be a country music singer and composed heartfelt songs and played her guitar until her fingers bled. Despite being bullied at school, her determination paid off; she was barely into her teens when she landed her first record deal. Instant success followed, as fans everywhere fell in love with her passionate and honest lyrics, her catchy tunes and her genuine, girl-next-door charm. Known for her confessional songs, many of her past boyfriends have featured in her music, including One Direction's Harry Styles, Jake Gyllenhaal, John Mayer and Joe Jonas. After less than a decade in the music industry Taylor has smashed records, collected hundreds of awards - including seven Grammys - and completed three sell-out tours. She has sold more than 26 million albums and her most recent record, RED, topped the charts in 12 countries. Louisa Jepson is an experienced showbiz journalist having worked in the industry for over ten years. She is also the author of a number of popular titles including a Sunday Times bestselling biography of Harry Styles.